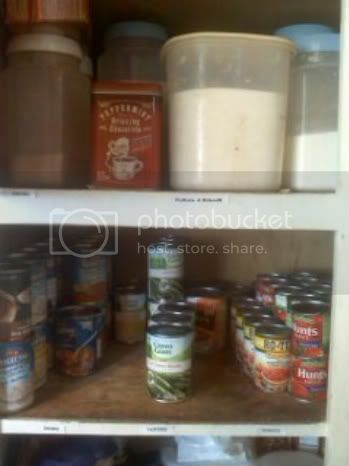 Confessions of an ADD English Teacher: Food Storage! Over the last few months, our food storage has really been depleted. Between Christmas and everything breaking and blowing up, we've had to really cut back on groceries and use what we have. Plus, I like to stock up at the beginning of the year and use it all up at the end of the year to make sure our food storage stays in a good rotation. This is the first year I've been actively couponing and this is also the first month where I've purchased by inserts instead of just getting them in the paper. I was very skeptical how much I'd actually save by including the priority mail shipping. My total for the inserts was about $13! Ouch. My first task was to see how long it took to make that back. Anything after that was money actually saved. Lucky me, there were two excellent coupons from this last week's insert! I made my money back in ONE trip to the store where I spent only $6! I got 8 bags of cookie mix and 9 containers of yogurt. The rest of my money savings this week, having enough coupons to actually get more than a week's worth at a time BLEW. My. MIND. And that I was able to pick up SEVEN pork tenderloins (normally $10 each!) for $35...well it's not too shabby. 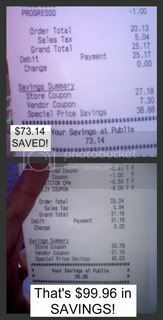 This trip to Winn Dixie cost me a whopping $50! 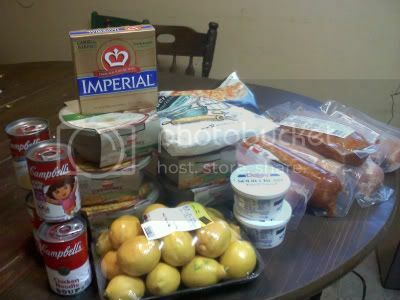 This includes 5 cans of soup, 5 country crock side dishes, and 18 lemons :) The country crock was a pricing error the store honored. 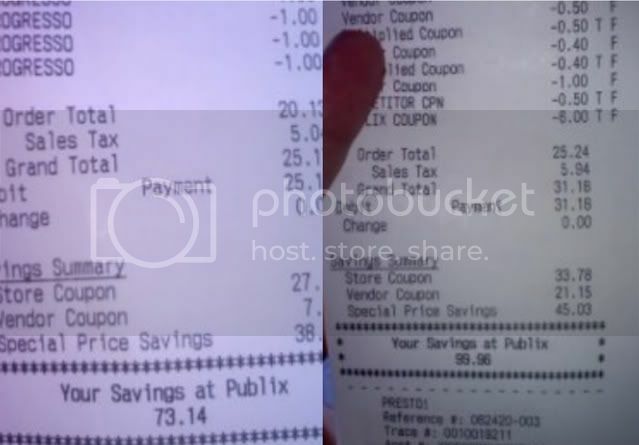 And here are my publix receipts. There were just too many items to take pictures! My freezer and fridge are packed. I was hoping to go to WinnDixie tomorrow to stock up on chicken, but I don't think it will fit between the venison, beef and now pork tenderloin. We have approximately three months worth of meat and canned goods. It feels really good to have this in place again. I'm completely impressed not only by your savings, but also by your organizing it all when you brought it home. You have got the couponing just right because you're buying what you actually need and saving instead of getting roped into buying unnecessarily for the savings. Great inspiration!